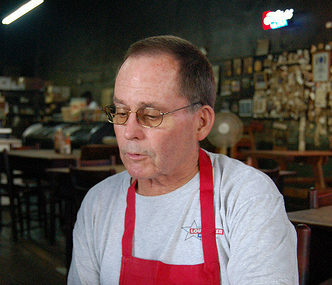 Bobby Mueller was born in Taylor, Texas, in 1939. 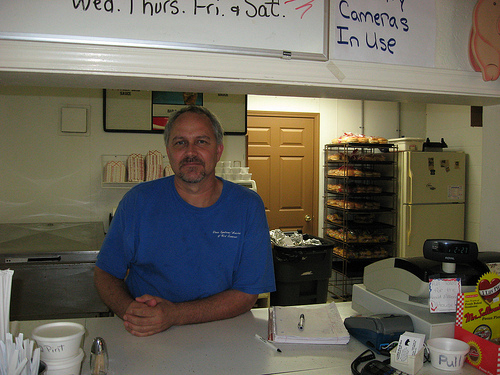 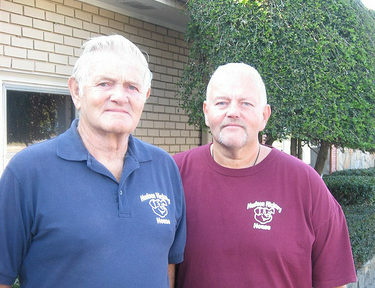 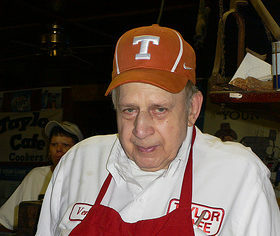 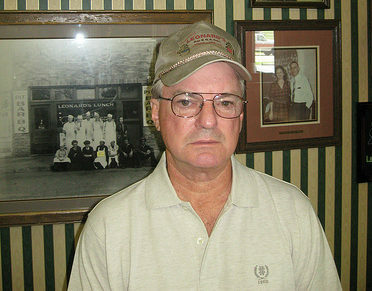 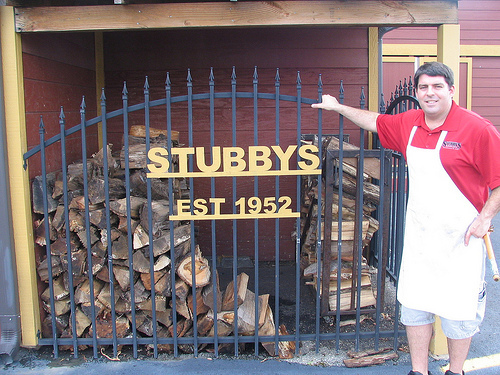 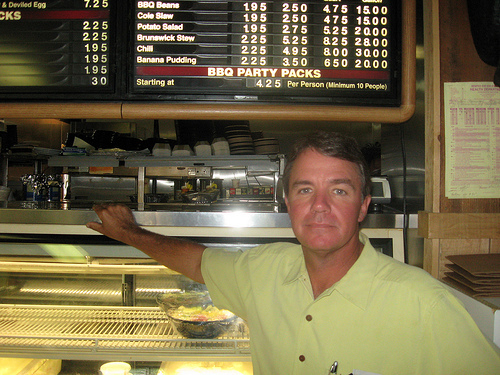 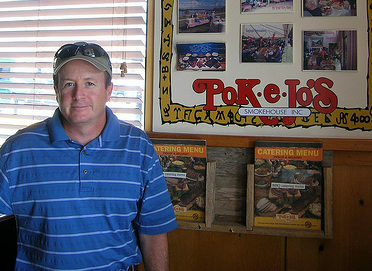 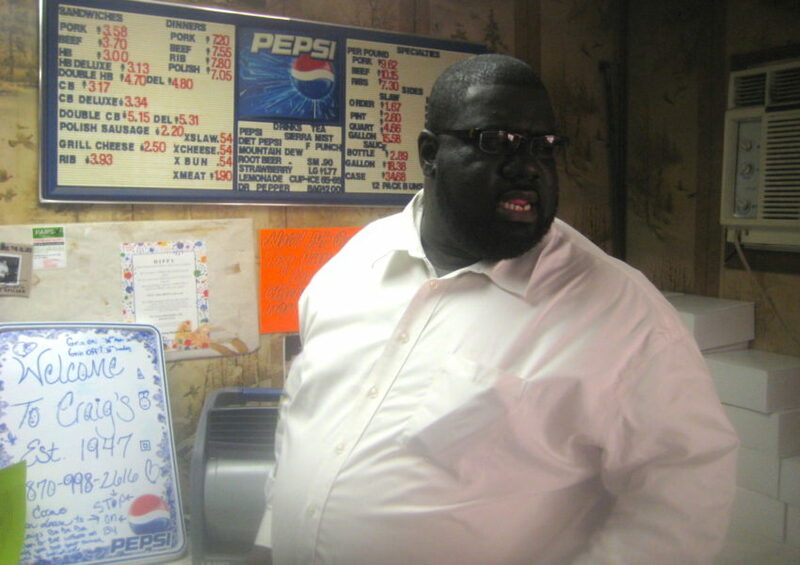 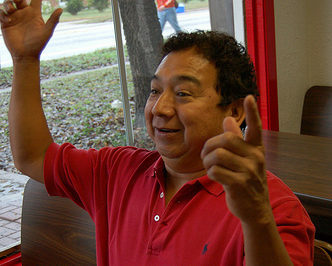 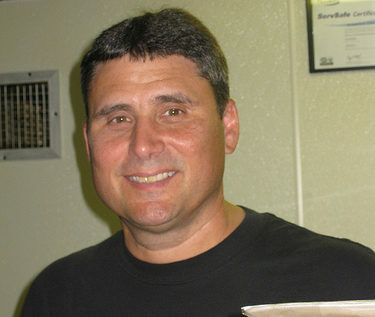 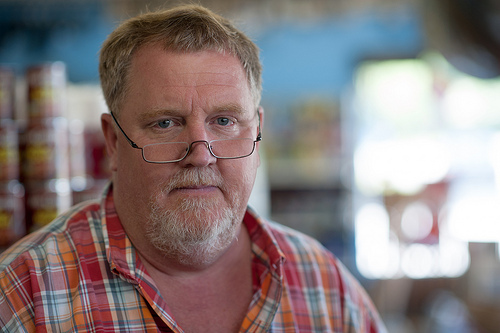 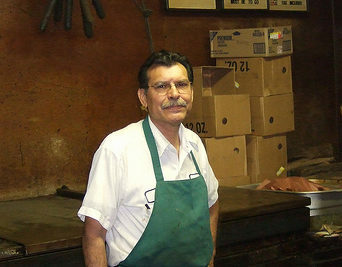 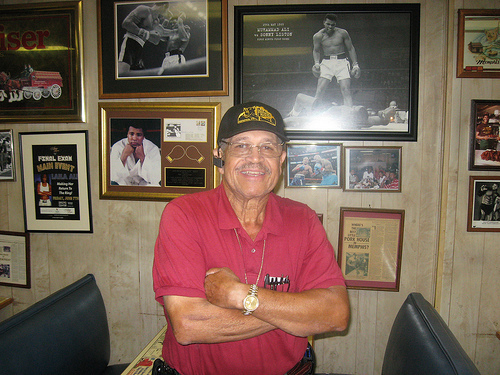 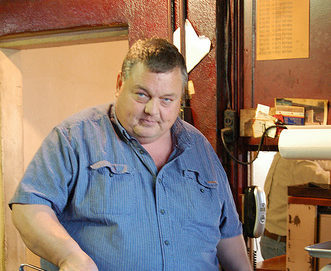 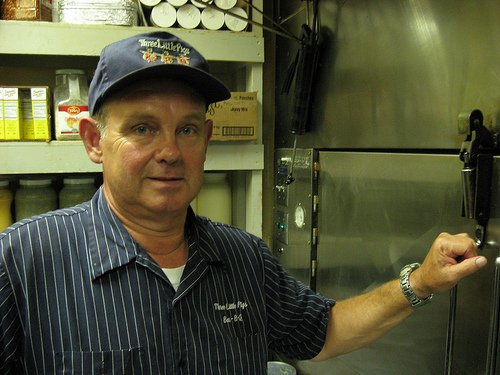 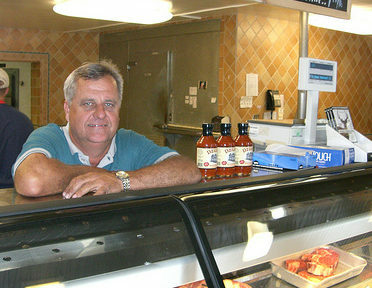 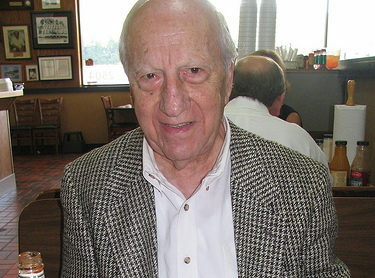 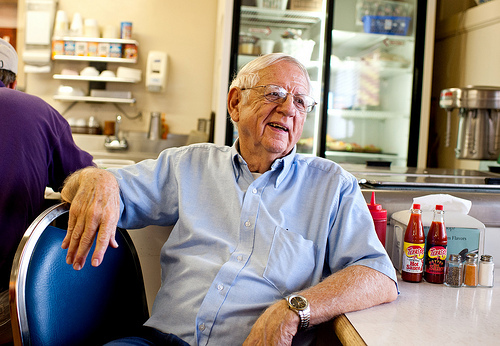 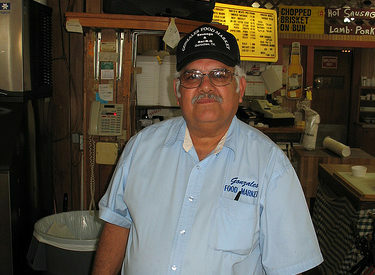 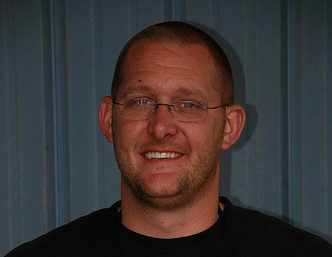 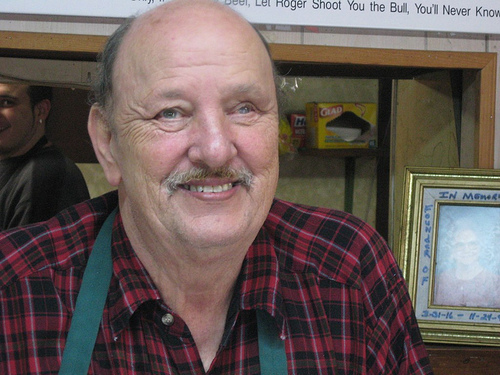 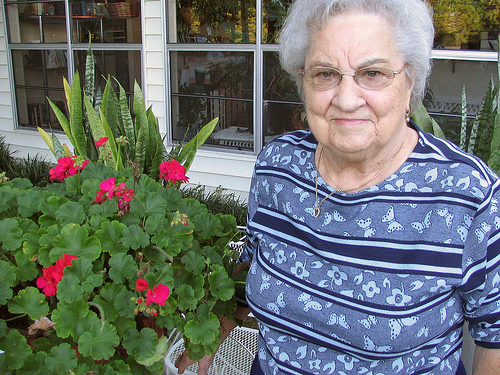 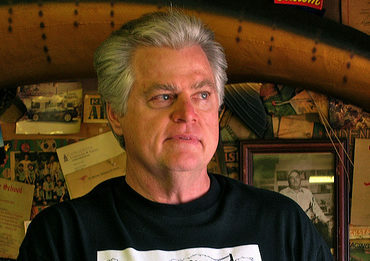 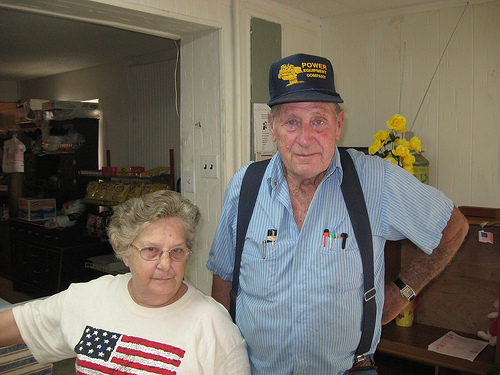 Louie Mueller was Bobby’s father, who opened the restaurant and grocery store in 1949. 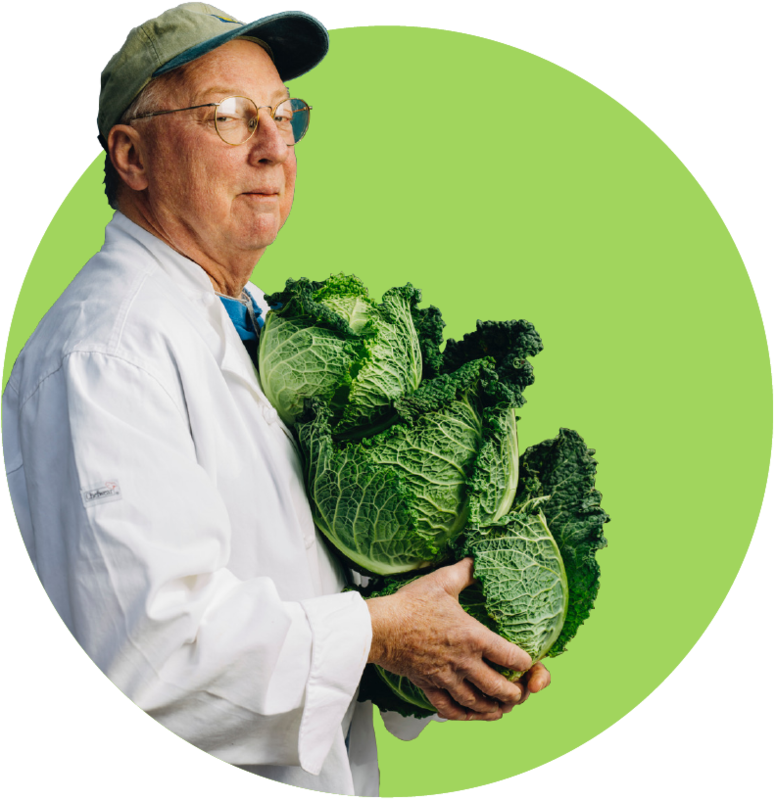 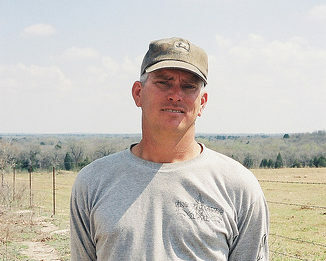 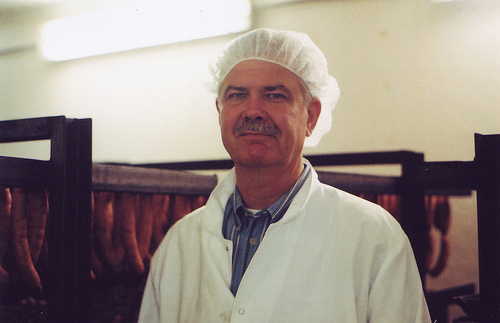 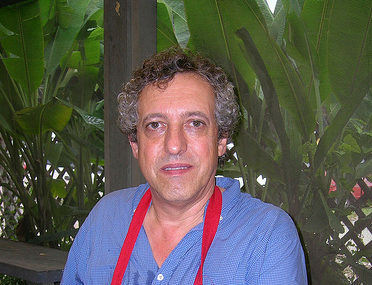 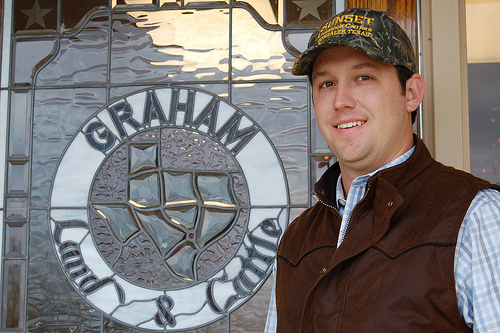 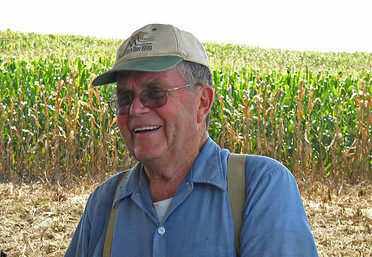 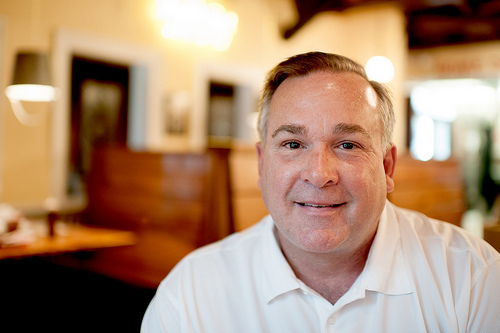 When not either in school or in the service, Mueller has worked with the family business, which he bought from his father in 1974, around the same time Louie Mueller stopped selling groceries. 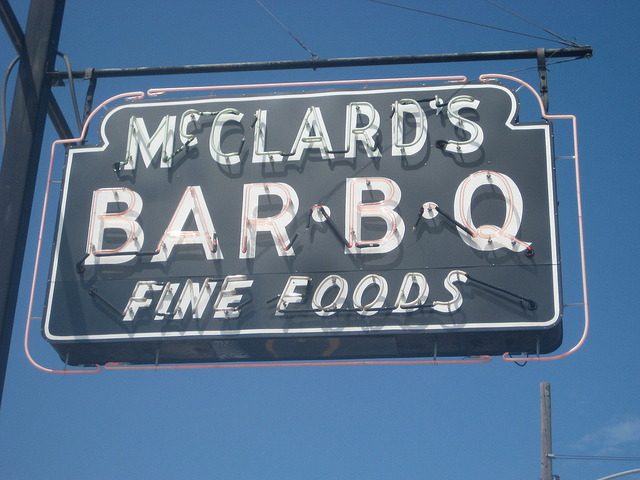 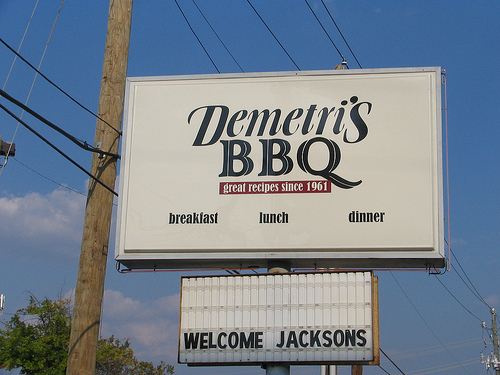 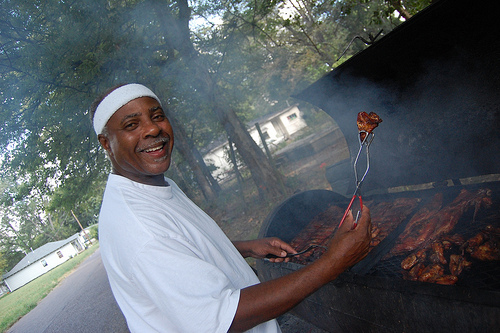 It was about this time when Mueller, himself, learned to barbecue. 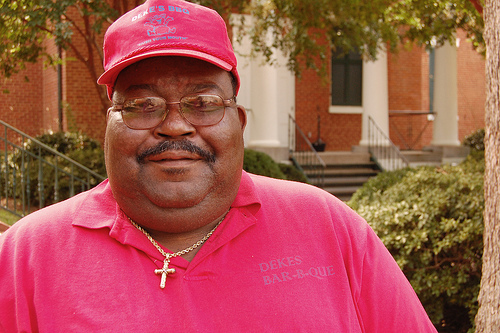 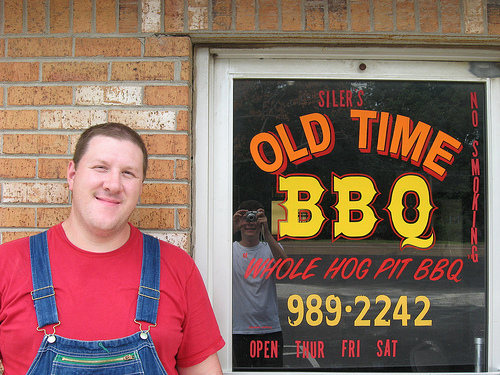 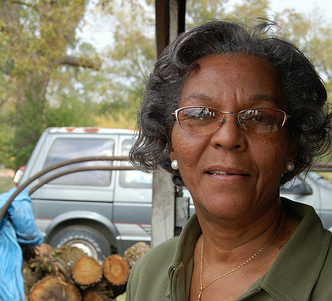 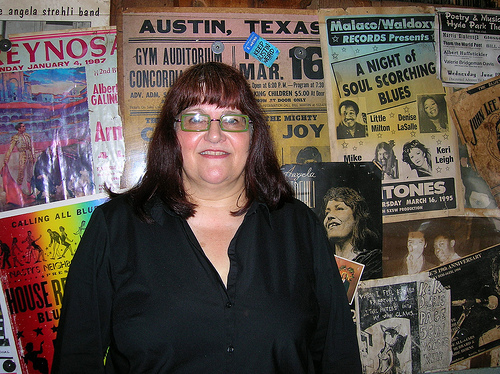 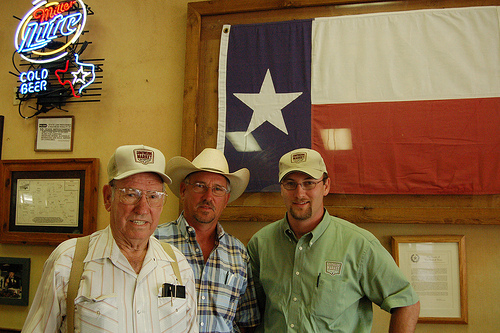 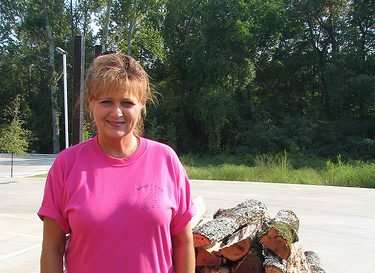 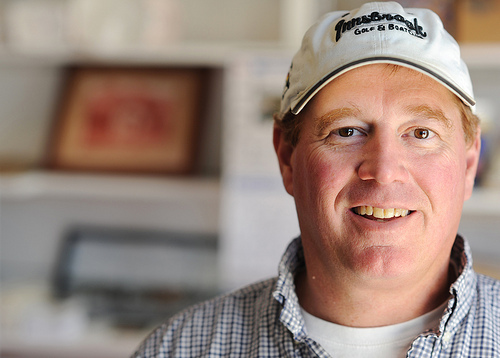 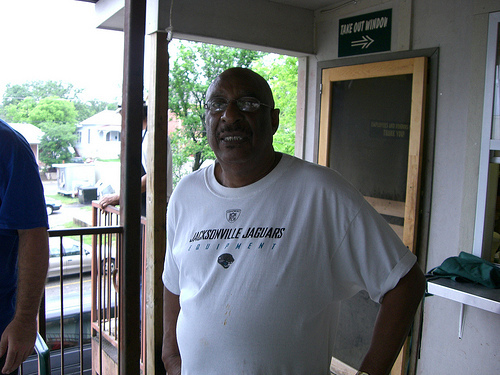 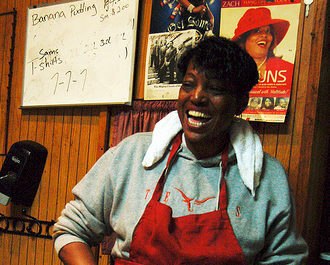 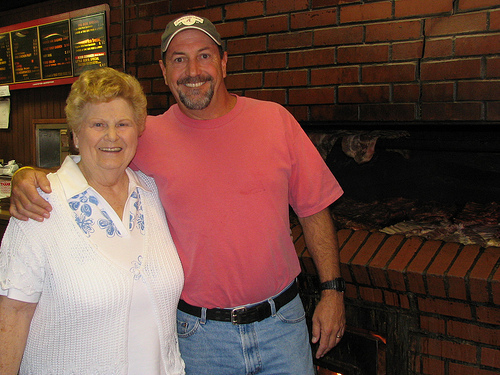 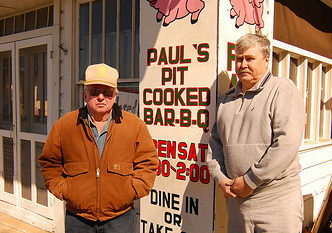 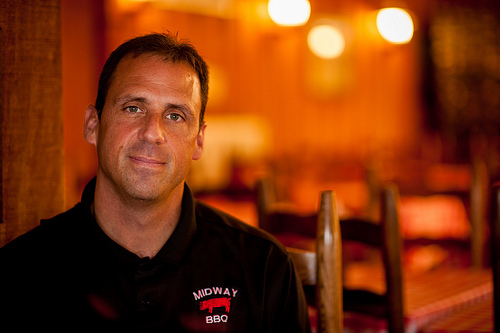 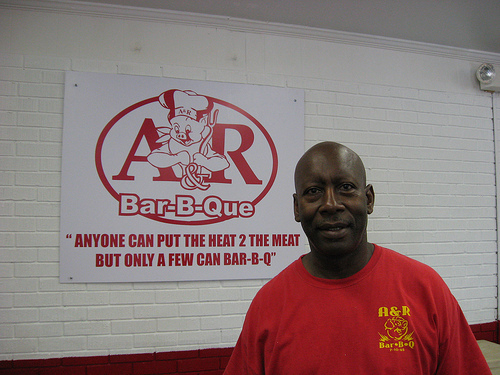 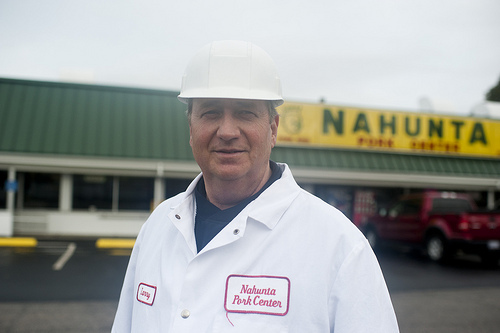 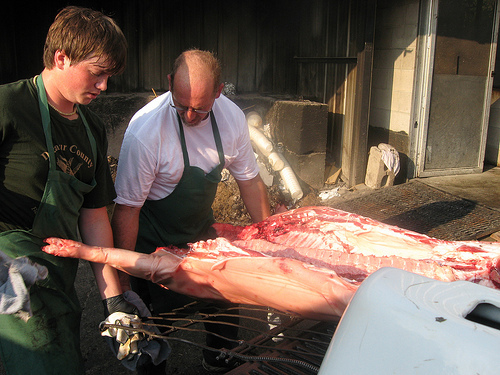 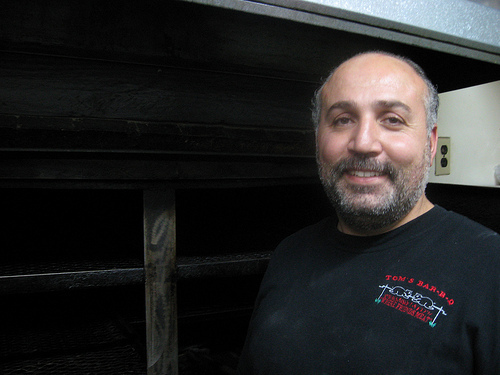 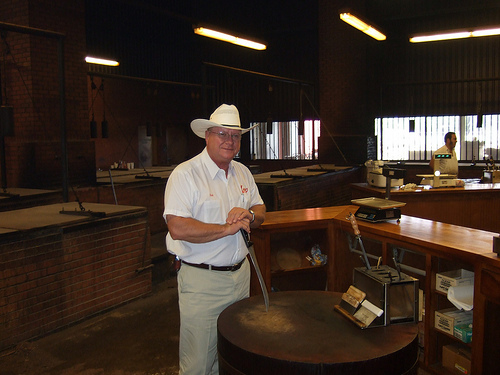 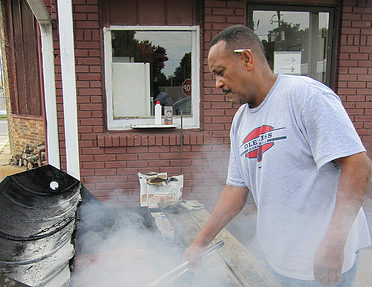 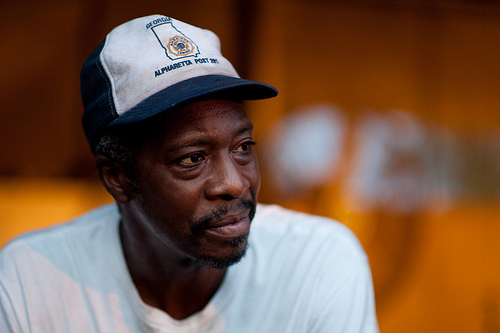 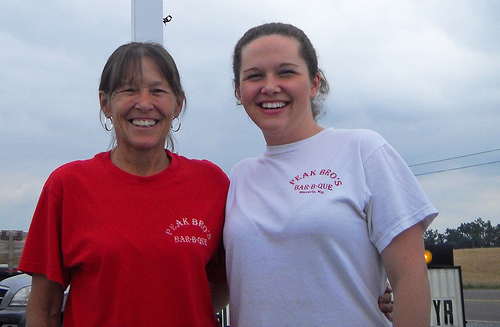 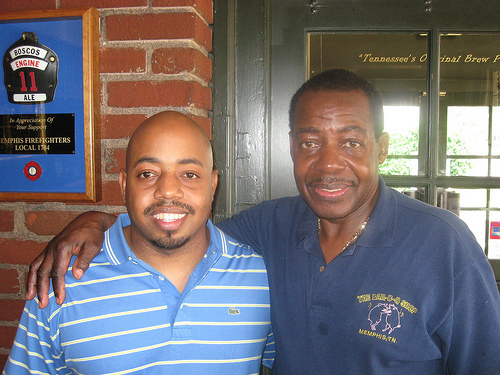 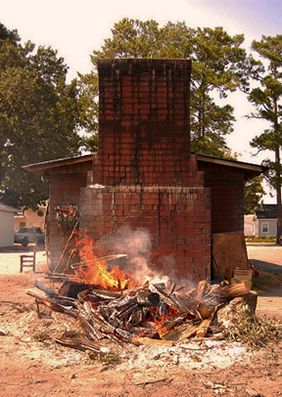 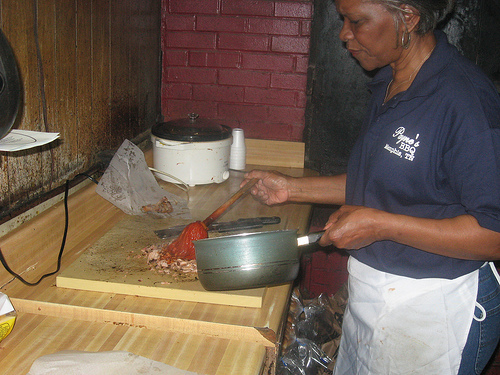 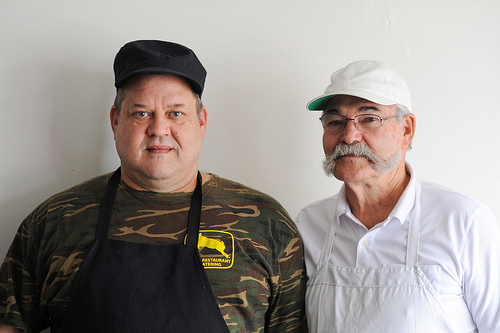 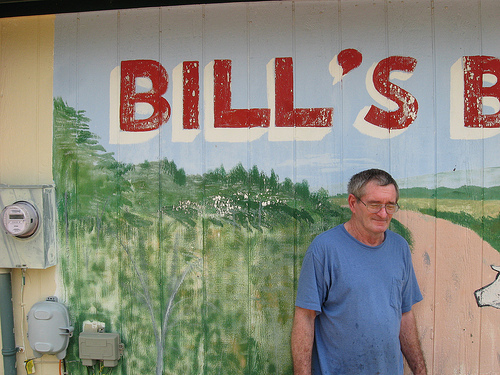 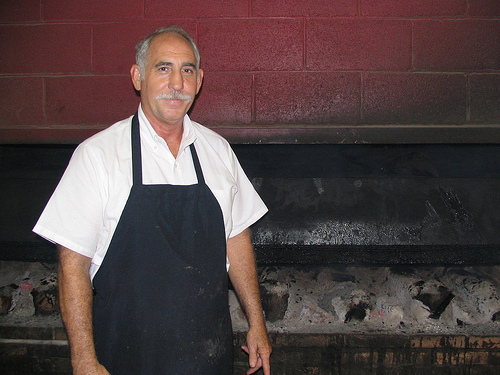 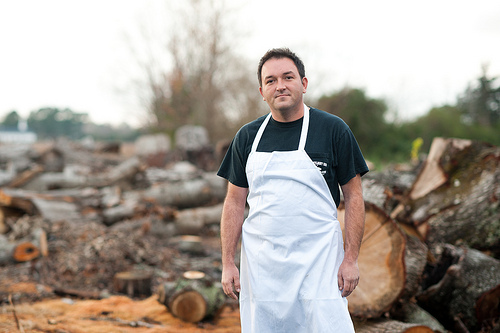 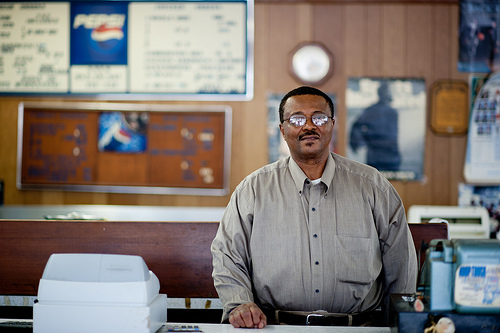 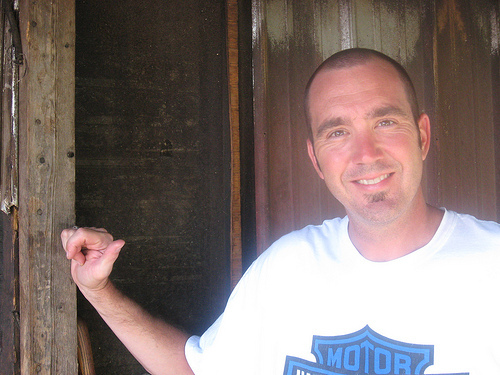 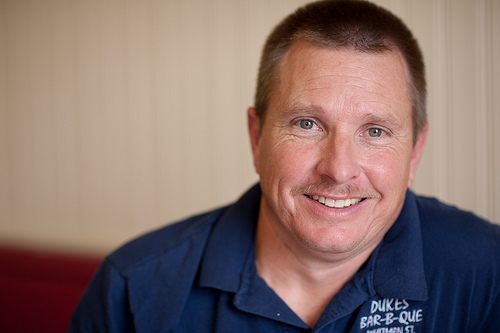 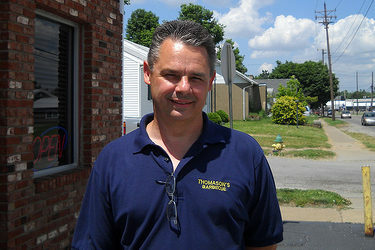 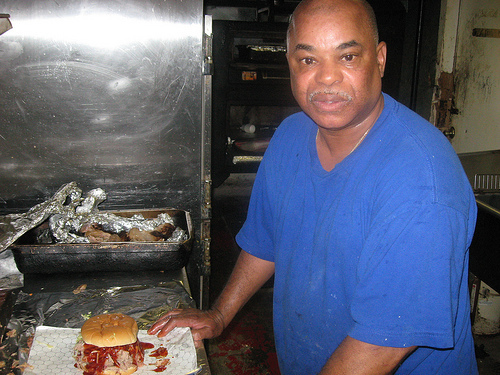 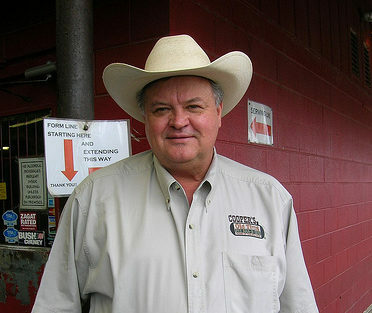 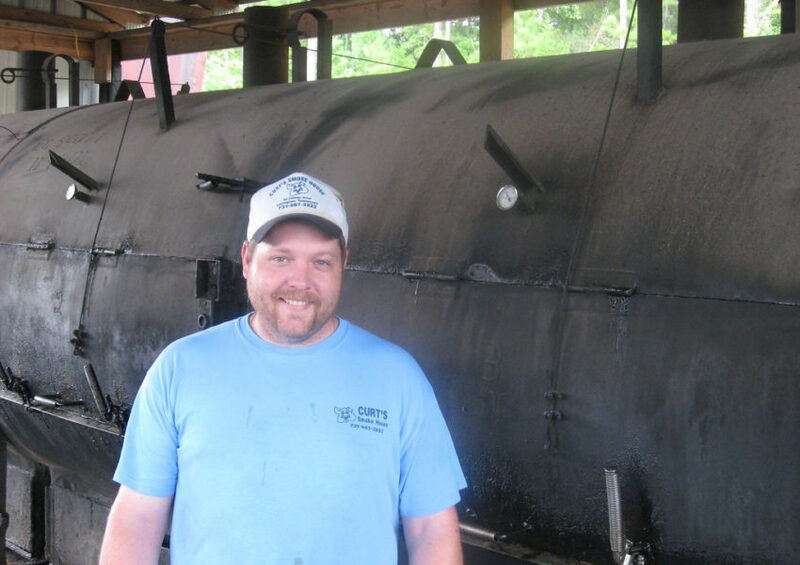 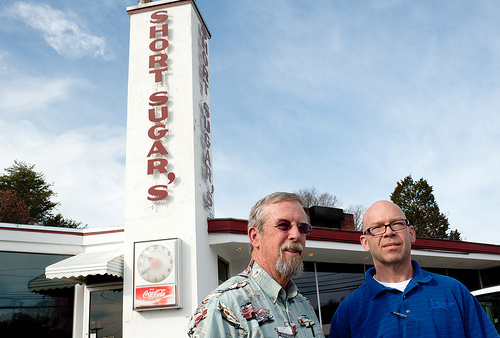 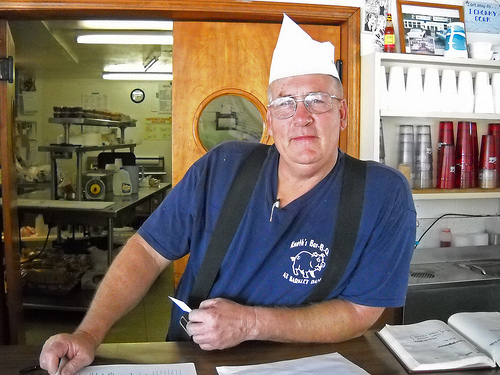 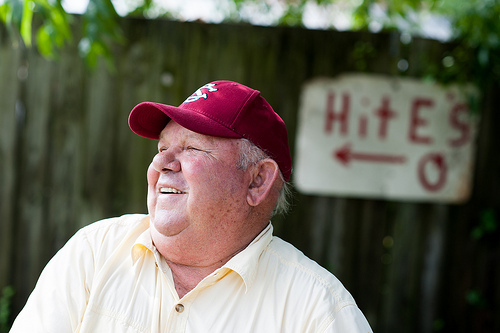 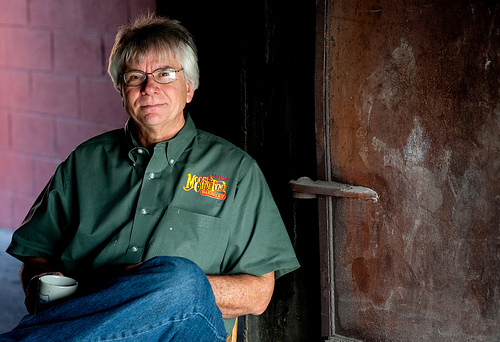 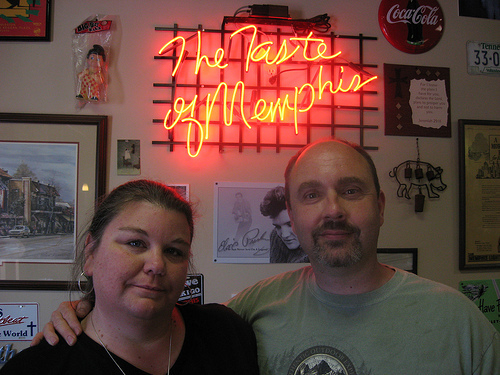 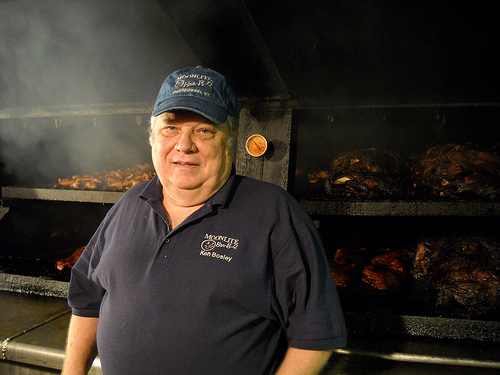 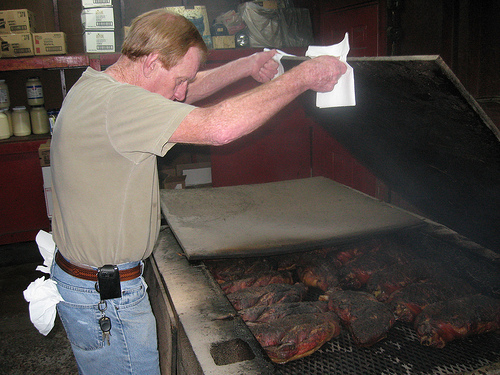 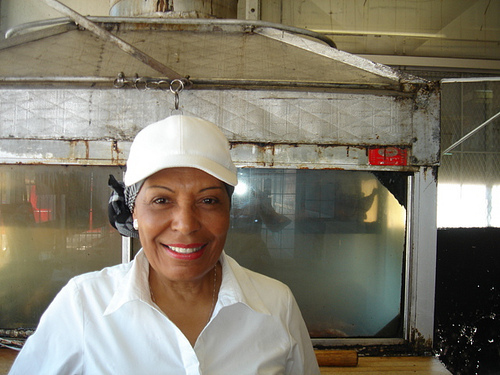 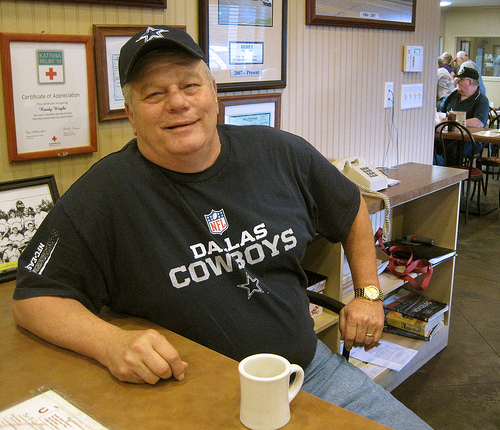 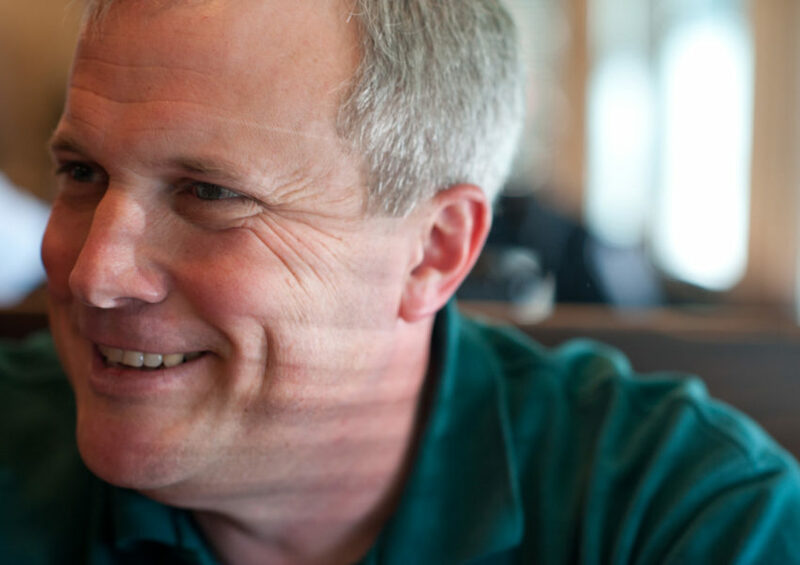 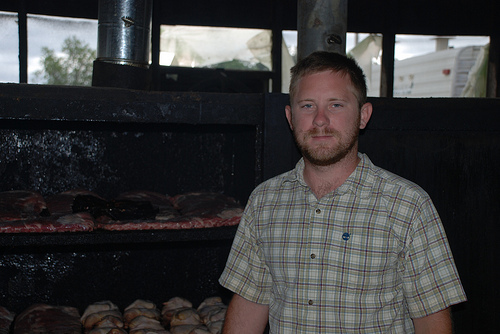 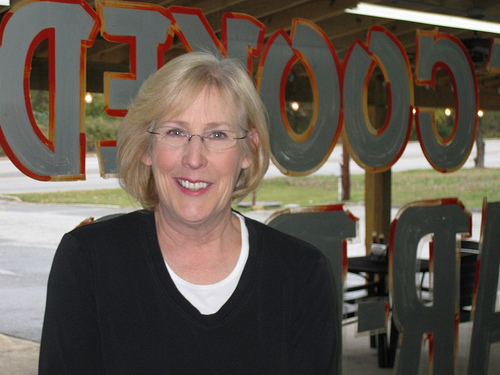 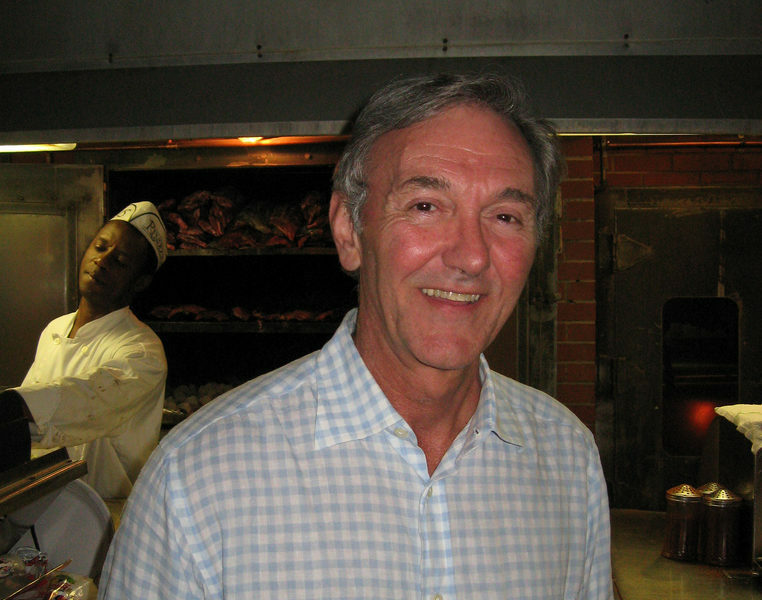 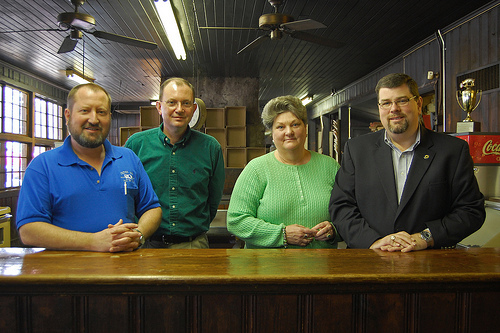 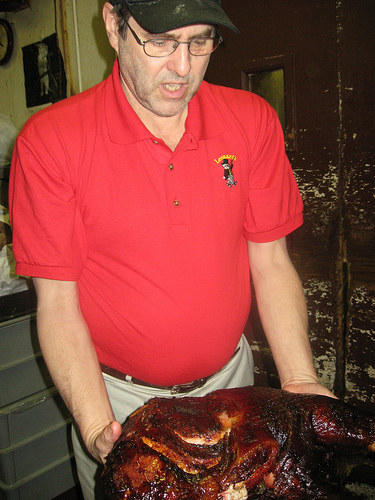 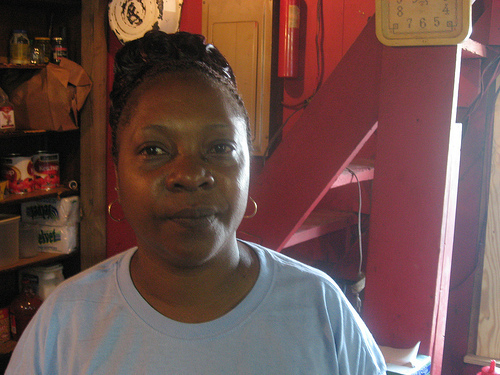 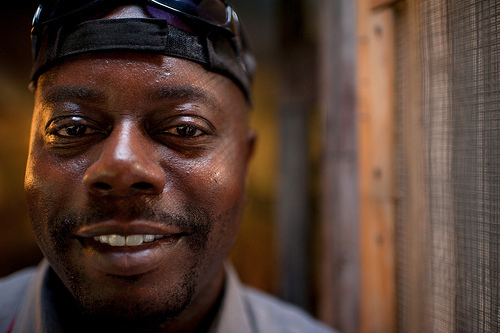 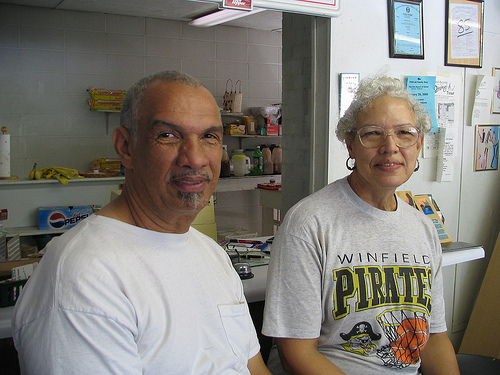 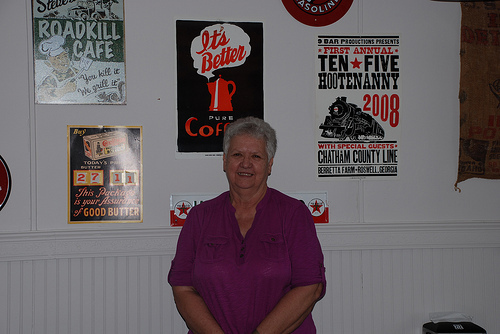 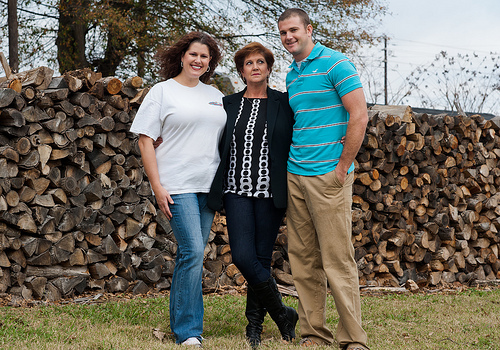 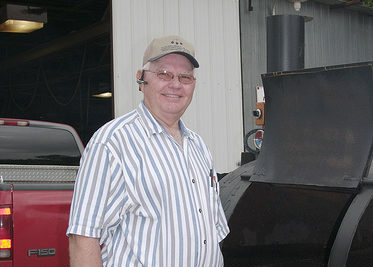 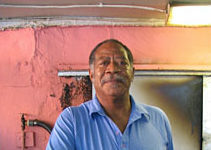 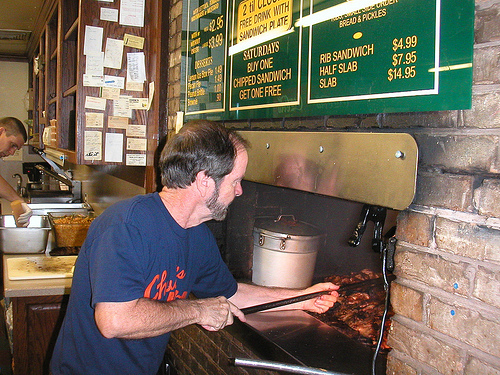 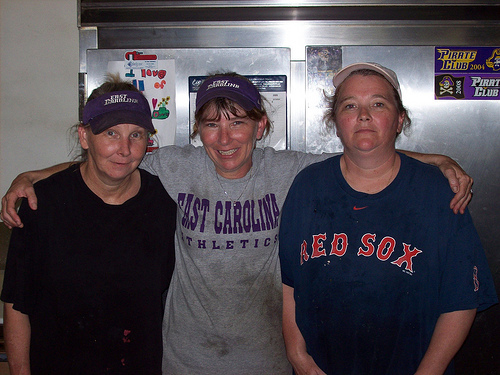 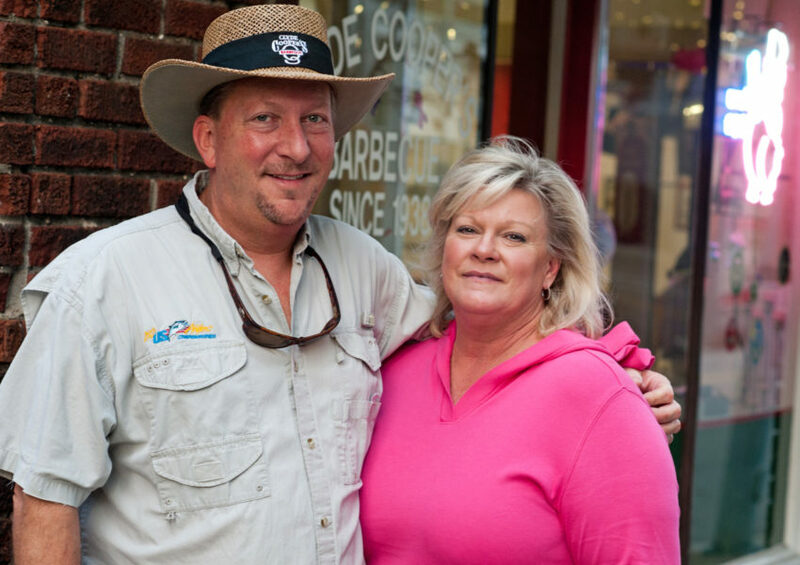 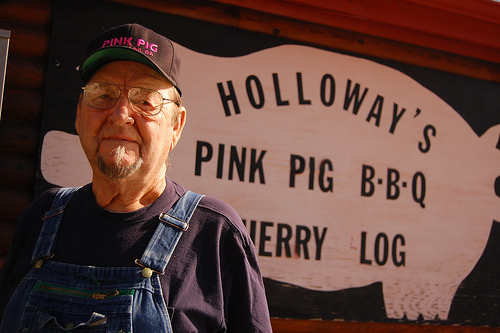 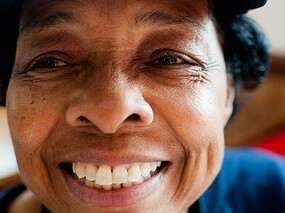 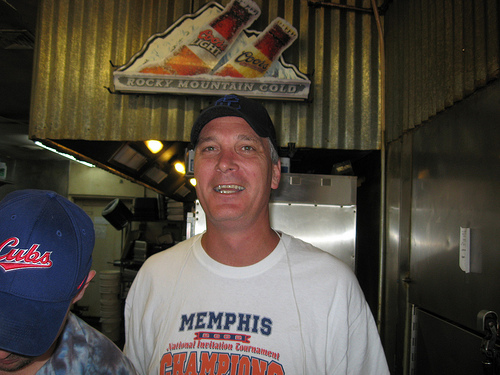 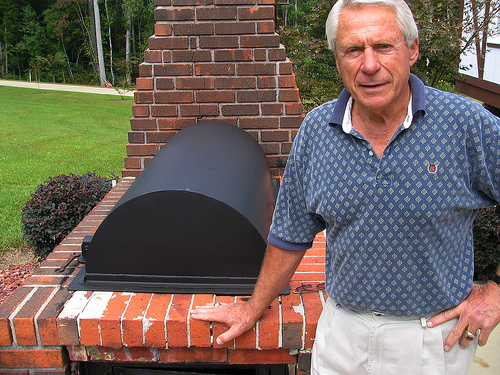 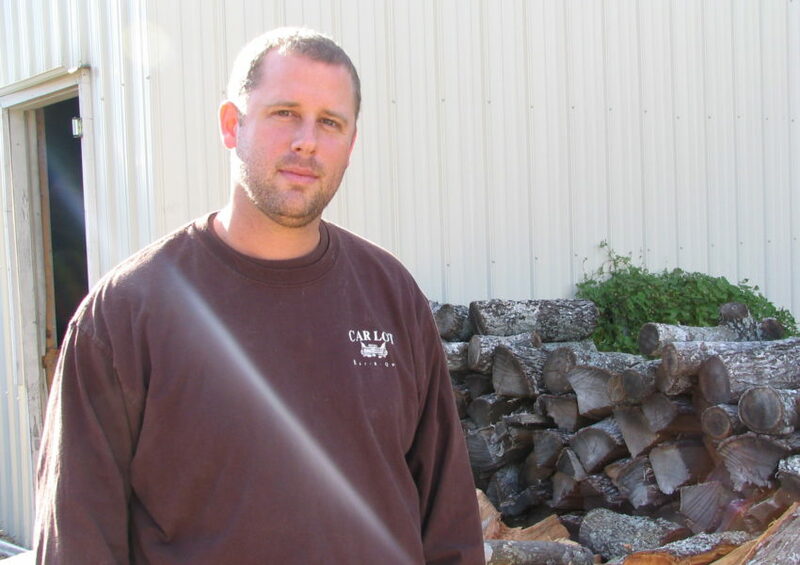 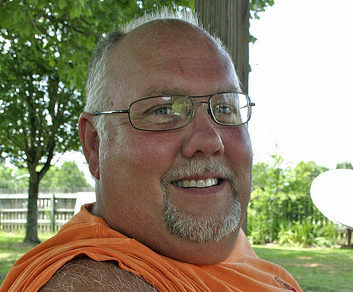 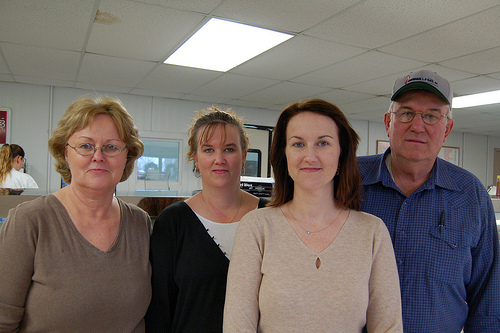 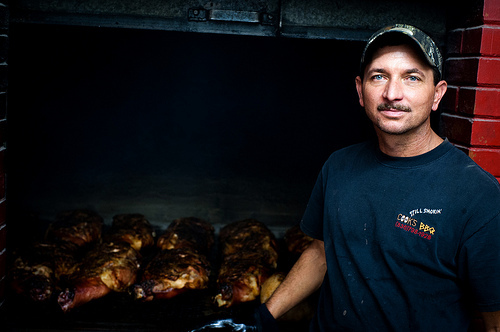 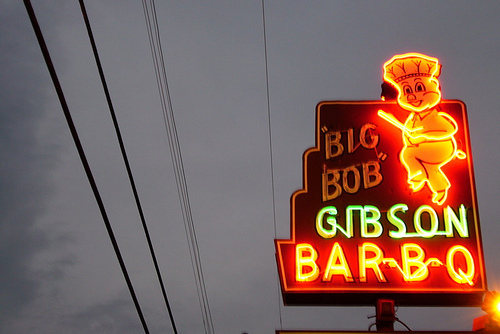 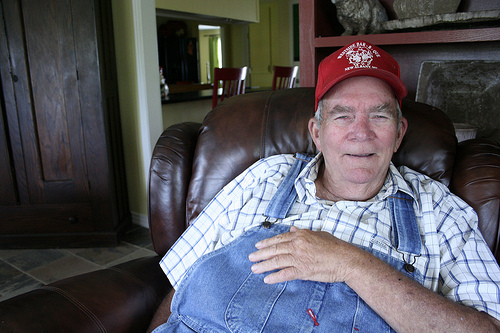 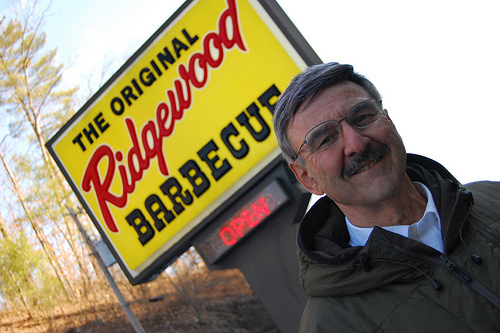 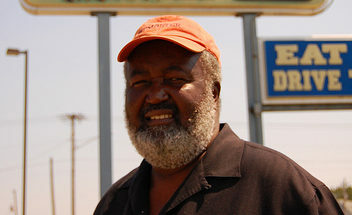 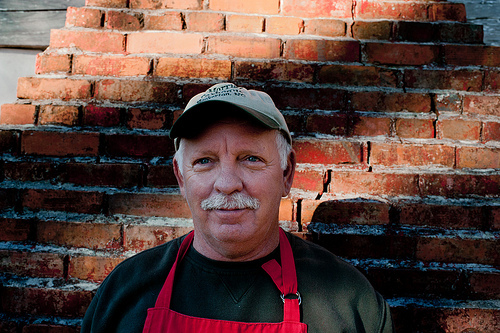 Today, Louie Mueller Barbecue remains a family business. 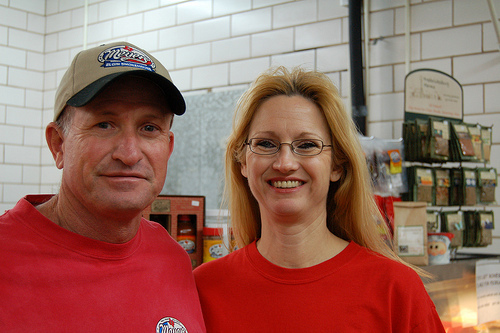 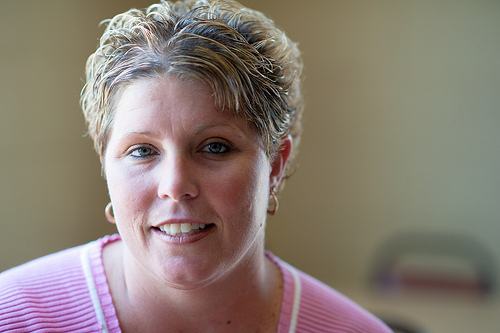 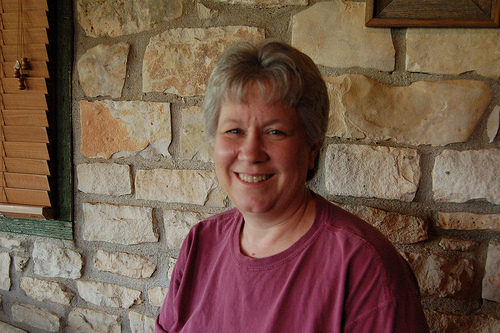 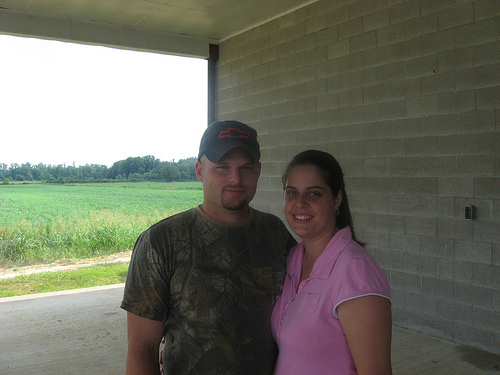 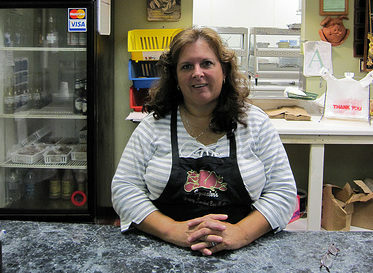 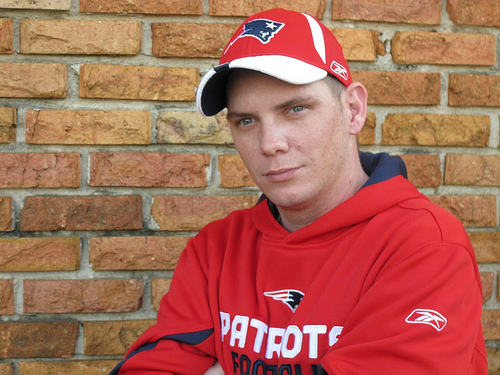 Bobby’s wife, Trish, keeps the business’s books. 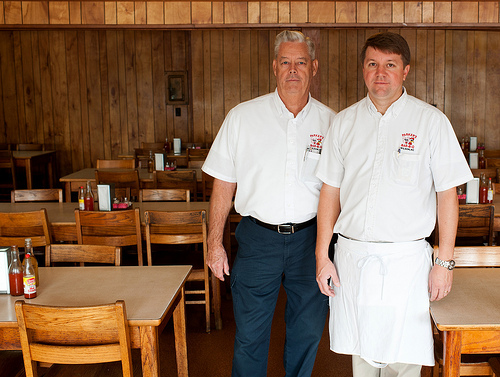 If you’re ever in Taylor and see the U.S. flag flying outside of the restaurant, stop in; it means their open. 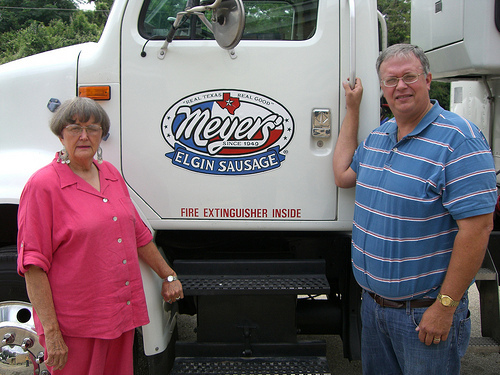 It’s a tradition the Muellers began in 1976.